The goal of the design contest was to come up with an interactive cladding which communicates the value of the research which is performed on the inside of the building. 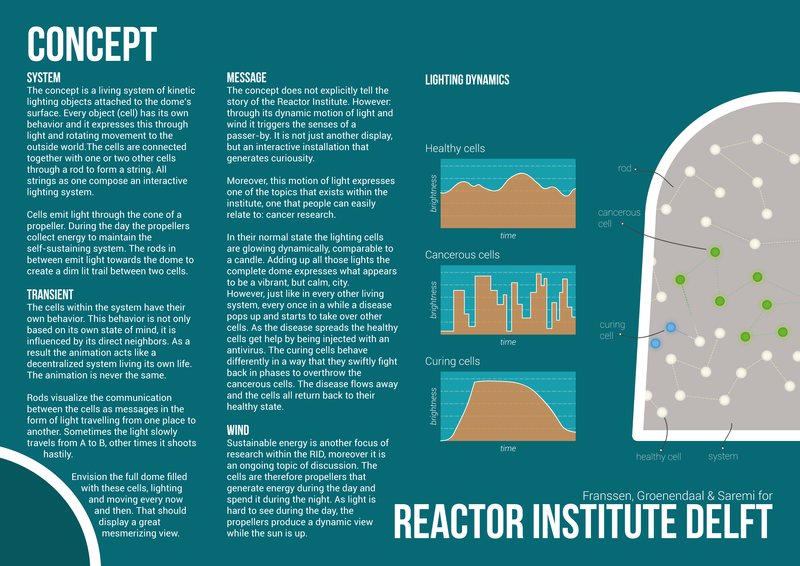 According to the Reactor Institute Delft (RID) people tend to be skeptical towards nuclear research. Many are unaware of the contribution of the RID towards healthcare, sustainable energy and material research. The submitted design incorporates elements of the oncology research from within the RID and uses light as a means to grab the attention of passers-by. The light fixtures are positioned in a mesh network and are perceived as dots of light on the aluminium cladding. The lights represent the fight with malignant cells in the body, which is translated from the fight against cancer. 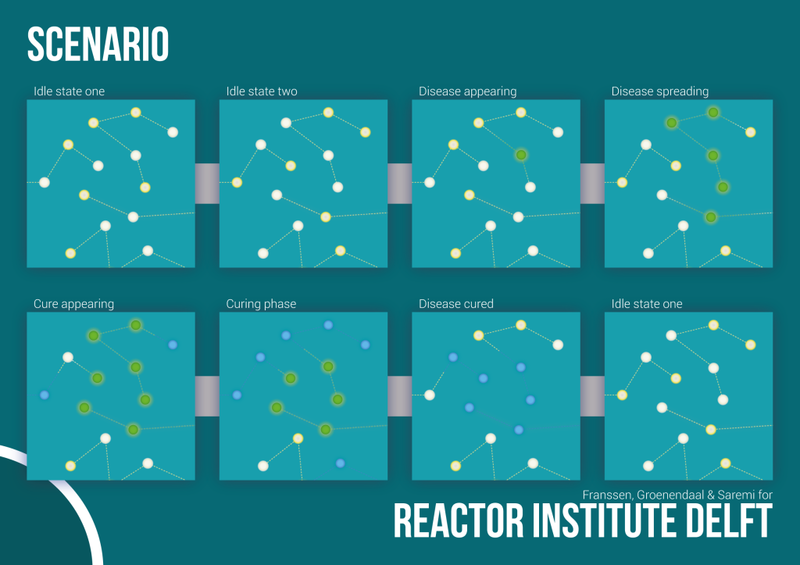 Cancer is one of the topics in the healthcare division of the RID and it is a topic with which many people can relate. In idle state the light fixtures emit a dynamic candle-like white light. Every once in a while a disease appears which makes the lights turn green. When the disease has spread to a certain extent the blue cure arrives and starts fighting with the disease and eventually the cladding returns to its healthy idle state.